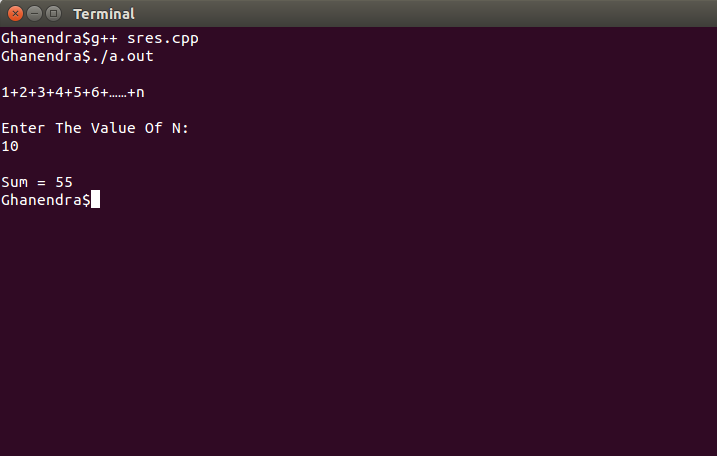 Problem :- Write A C++ Program To Find Sum Of The Following Series 1+2+3+4+5+6 . . . . . n .
Method 1:- sum of series from 1 to N.
Method 2:- sum of series from 1 to N.
If you are interested then you can modified this series for large number or you can try below series .